The Ohio Senate minority caucus is comprised of the party with the fewest members represented. Each session, members of the minority caucus select a slate of leaders, headed by the minority leader. Senate Democrats believe all Ohioans deserve good-paying jobs, quality, affordable health care and fair treatment under the law. That’s why we support investing in Ohio’s future by building quality schools and strong communities. We are committed to giving everyone a fair shot at success regardless of race, religion, gender or sexual orientation. We are focused on policies that reward hard work in every corner of our state, from the farms to the factories and from the cities to the small towns. We are committed to creating good-paying jobs that allow all Ohioans to support their families and to giving workers access to training opportunities. We will fight to protect workers' rights and to make sure that all jobs pay a living wage and provide good benefits. We also believe that employees should always feel safe and free from any type of discrimination when at work. We believe it's important that we fix our state's aging infrastructure. We have proposed a number of plans to maintain and improve our roads, bridges and water and sewer lines, as well as public transportation. We are also working to provide assistance to the business community, especially to small and minority-owned businesses, believing this will encourage innovation and build stronger communities in Ohio. Giving all Ohioans a fair shot at success requires a tax system that is fair to working families. Unfortunately, in recent years, changes to Ohio's tax code have mostly benefited the wealthy. That's why Senate Democrats have proposed eliminating tax loopholes that reduce funding for our schools and local communities and that do not help to grow the middle class. Today, more Ohioans than ever receive quality health insurance through their employers, the health insurance marketplace or Medicaid. It is a priority of the Senate Democrats to protect coverage and to make sure that Ohioans continue to receive quality health care. We believe that investing in greater health care access will improve health outcomes, reduce diseases and premature deaths and give every person a better chance to succeed. It is a sad and disturbing fact that Ohio leads the nation in opioid overdose deaths. Senate Democrats are calling for comprehensive legislation to address this crisis by giving our local communities and first responders the resources they need to save lives. Our Senators also support expanding drug treatment services across Ohio to help more people break the cycle of addiction. Every child in Ohio deserves to receive a good education in a safe environment. As Democrats, we strongly support investing in early childhood education because evidence shows it provides the greatest benefits to children, giving them the tools they need to be successful in school and life. We also believe we should offer professional development to teachers throughout their career and require greater accountability for charter schools. Finally, we oppose greater privatization of education. The right to vote is at the heart of America's democracy and so is the government's obligation to protect and promote this right at every level. As Democrats, we support investing in new voting technology that ensures elections are secure and fair. We want barriers to voting to be eliminated and voter education and participation to be encouraged. We also support ending gerrymandering so that voters can choose their representatives and not the other way around. We want to provide a healthy environment for all Ohioans. This includes making sure that our communities have safe drinking water, free of harmful algal blooms, lead or any other dangerous contaminants. We also support investing in alternative and renewable energy sources as a way to both protect the environment and create jobs and economic development in the state. We want to reform our adult and juvenile criminal justice systems to ensure they are fair to all citizens, no matter their background. It is also a priority to give police more funding and better training so that citizens can be confident officers can handle stressful situations. We are also working to reform our bail and bond system so that people are not punished simply for being poor. 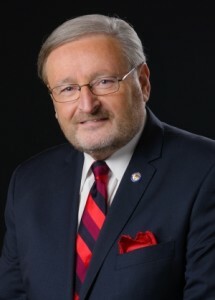 Minority Leader – Kenny Yuko – Senate District 25. The minority leader is elected by all members of the Senate to lead the party in the minority. He is responsible for the development and implementation of the caucus agenda. Representing Ohio’s 25th Senate District that includes parts of both Cuyahoga and Lake Counties, State Senator Kenny Yuko has devoted his career to strengthening Northeast Ohio and improving the lives of those who call it home. Senator Yuko grew up in Euclid and graduated from Brush High School in the South Euclid/Lyndhurst School District in 1968. He then attended both Cuyahoga Community College and Kent State University before entering the workforce. Yuko began his career as a clothing buyer for Polsky’s Department Store, but he soon found his true passion with union organizing. He served with the Laborers’ Local #860 for 30 years, including 25 years as union organizer. He retired from that service in 2004. During his long career, he received multiple awards for his efforts, including the “2000 Organizing Award” from his International Union. With this experience under his belt, Yuko ran for State Representative in 2004 with the goals of protecting working families, promoting health care access, and improving Ohio’s economic climate. He won convincingly and was subsequently re-elected for three more terms. During his tenure in the House, he served as both Chairman and Ranking Member of the Commerce and Labor Committee, and was also a member on the Committees on Health and Aging and Veterans Affairs. Because of his outstanding dedication to the causes he cares about, Yuko has received numerous awards and recognitions, including: AFL-CIO Lifetime Achievement Award, Kym Sellers Foundation Triumphant Award, National MS Society Advocacy Hall of Fame, Ohio Counseling Association Public Policy & Legislation Award, Home Medical Equipment Services Industry State Legislator of the Year Award, Linking Employment Abilities & Potential (LEAP) Legislative Advocacy Award, National Association of Mental Illness (NAMI) Legislator of Year Award, Ohio Ambulance & Medical Transportation Association Legislator of the Year Award, The Rosemary Home Angel of the Year, Mayor Georgine Welo Community Service Award, and various other awards and citations for his years of service to the community. Yuko resides in Richmond Heights with his wife Pam. He has two grown children, Rocky and Angela, and three grandchildren. Assistant Minority Leader – Cecil Thomas – Senate District 9. The assistant minority whip is elected by all members of the Senate and is responsible for assisting the minority whip in monitoring legislation and securing votes for legislation on the floor for the minority party. Columbia Township, Silverton and Springfield Township. A product of a working class family, Senator Thomas was born in rural Alabama in 1952. At the age of eight, his family moved to Cincinnati settling into the West End community where he attended St. Anthony Catholic School. After graduating from Withrow High School, he took a job as a public service worker. However, with the desire to attend college he joined the Cincinnati Police Cadet Program, which offered free college tuition. Upon graduation from the University of Cincinnati, Senator Thomas joined the Cincinnati Police Department where he spent twenty-seven years working throughout all 52 neighborhoods. In 1976, while on the force, Senator Thomas recognized that there was a lack of minority representation, especially in policy-making decisions. He decided to take action to ensure that both African Americans and women received an equal opportunity to serve and protect their community. As a result of his actions, the Cincinnati Police Department increased the percentage of African Americans and women on the force to 40% under two federal consent decrees. Senator Thomas retired for the police force after a successful career in 2000 to assume the Executive Directorship of the Cincinnati Human Relations Commission (CHRC). During the civil unrest in 2001, he emerged as a leader utilizing his experience as a police officer and community leader to quell the violence. Under his leadership, the Cincinnati Human Relations Commission soared to new heights as he assisted city leaders with restoring community trust while also building a cohesive community and police relations program. Today the Cincinnati Human Relations Commission recognized nationally as one of the premier human relations organizations in the country. In 2005, Senator Thomas stepped down from his position with the commission to serve as a member of Cincinnati City Council. He made the choice to run for Cincinnati City Council after a request for additional funding for a successful program to assist young African Americans males was rejected. While on Cincinnati City Council, he served as President Pro Temp and Chairman of the Law and Public Safety Committee where he was successful in convincing City Council to provide funding for several community projects. His most notable success is the Cincinnati Youth Streetworker Program, which evolved into the Cincinnati Initiative to Reduce Violence (CIRV). This program provided direct resources and outreach services to at risk youth/young adults in Cincinnati’s most troubled neighborhoods addressing the critical problem of violence and crime. The implementation of the CIRV program resulted in a significant reduction of crime and improved community and police relations to which is now being modeled nationally and internationally. 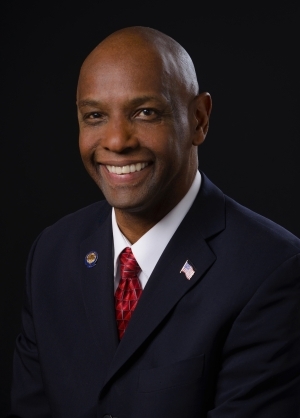 Senator Thomas is a lifetime member of the Fraternal Order of Police and the Sentinel Police Association, member of the Masonic Gothic Lodge 121, and serves as the Vice President of the Greater Cincinnati Chapter of the National Action Network. Senator Cecil Thomas had been appointed to serve as Ranking Member of the Senate Criminal Justice Committee and State and Local Committee for the 131st General Assembly. In addition to his leadership roles, Senator Thomas also serves on the following committees: Education, Civil Justice, Insurance, Financial Institutions, Finance Subcommittee on Education (K-12) and Finance Subcommittee on Higher Education. He has been married to Pam Thomas for over thirty years. They have four adult children and four grandchildren. They have resided in the community of North Avondale for the past thirty years. Minority Whip – Sean J. O'Brien – Senate District 11. The minority whip is elected by all members of the Senate and is responsible for monitoring legislation and securing votes for legislation on the floor for the minority party. 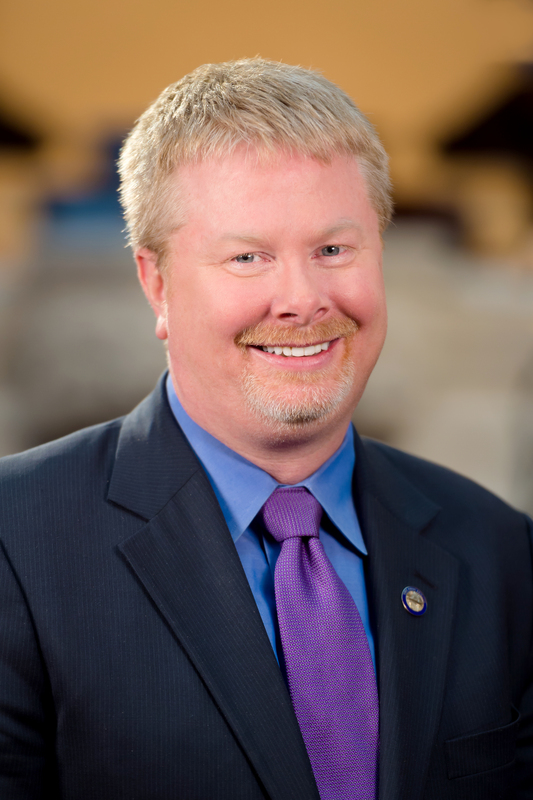 State Senator Sean J. O'Brien (D-Bazetta) is serving his first term in the Ohio Senate, representing the 32nd District which encompasses Trumbull and Ashtabula Counties and portions of Geauga County. Senator O’Brien previously served three terms in the Ohio House of Representatives beginning in 2010. Senator O'Brien has built his professional career around helping to improve the quality of life for those in his home county. Prior to serving in the General Assembly, he was an assistant Trumbull County prosecutor, a position he held for over twelve years. In this position he was the Chief Criminal Prosecutor for Eastern and Central District Courts, a member of the Domestic Violence and O.V.I. Task Forces, and prosecuted over 100 domestic violence cases. Also a community leader and activist, he founded the Trumbull County Community Foundation, which gave out over $50,000 to local charities in its first year, and has served as its past president. The efforts of this foundation have raised thousands of dollars for seniors, children, and those in need, as well as funding for economic development. Senator O'Brien uses his free time to serve as a community leader on the boards of Someplace Safe, which works to combat domestic violence in Trumbull County and the surrounding areas; Inspiring Minds, an organization which provides young people with “the opportunities and motivation to overcome the obstacles that stand between them and personal success”; as well as the Youngstown Air Base Council. Additionally, he has proven himself to be a strong advocate for children through his work as guardian ad litem for the children of Trumbull County, and has also been a lecturer for Someplace Safe, local police departments, teen intervention programs, and the Ohio State Patrol. Senator O'Brien is the co-chair of the Ohio Legislative Sportsmen’s Caucus. While a member of the House of Representatives, Senator O’Brien served as a member on the Energy & Natural Resources, Agriculture and Rural Development, and Public Utilities Committees. The committee assignments reflected his priorities as well as the concerns of the communities in his district. Senator O’Brien holds a bachelor’s degree from Edinboro University of Pennsylvania, as well as a J.D. from the University of Akron. He and his wife, Maria, live in Bazetta Township, and have two daughters. Assistant Minority Whip – Sandra R. Williams – Senate District 21. The assistant minority whip is elected by all members of the Senate and is responsible for assisting the minority whip in monitoring legislation and securing votes for legislation on the floor for the minority party. State Senator Sandra Williams, who represents Ohio's 21st Senate District, is currently serving her first term in the Ohio Senate. Senator Williams is a native of Cleveland, Ohio, where she attended Cleveland Public Schools. She holds a Bachelor's degree from Cleveland State University in Political Science with a minor in Criminal Justice, a Master's in Criminal Justice Administration from Tiffin University, and an Executive Master's in Business Administration from Cleveland State University. She is also the recipient of an Honorary Doctorate Degree from Tiffin University. In addition to her senatorial duties, Senator Williams serves as the Vice Chairwoman of the Cuyahoga County Democratic Party and associate professor at Cleveland State University.Senator Williams has spent more than two decades in public service—as a corrections officer, probation and parole officer, mediator for the State of Ohio, legislative aide, and State Representative. She also served our country as a member of the United States Army Reserve and was honorably discharged in 1995. In the 132nd General Assembly, Senator Williams serves as a ranking member on the Public Utilities and Ways and Means Committees as well as Vice Chair on the Finance Subcommittee on Higher Education. She also serves on the Energy and Natural Resources Committee, Insurance and Financial Institutions Committee, Corrections Institution Inspection Committee (CIIC), Joint Education Oversight Committee (JEOC), Governor’s Executive Workforce Board, Power Sitting Board, and Tuition Trust Authority Investment Board. 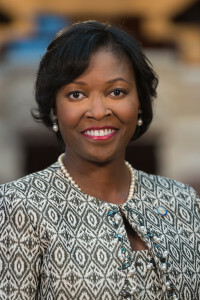 As a prominent member of the Democratic Party, Senator Williams has built bipartisan relationships with lawmakers in Ohio and throughout the United States. During her time in the General Assembly, she has made strong efforts to improve access to economic development opportunities, such as improving contracting for women and minority contractors. She has also worked to expand job training opportunities for Ohioans entering the workforce or transitioning into new fields. Senator Williams was the joint sponsor of legislation that renewed the Ohio Third Frontier program, which is dedicated to assisting the growth of diverse startup and early stage technology companies. She has also championed initiatives that revised criminal sentencing and re-entry laws and removed significant barriers to employment—providing a second chance for ex-offenders to allow them to become productive citizens. She spearheaded the passage of Ohio's Lupus Education and Awareness Program, and also led the charge to restructure the Cleveland Municipal School District; passing legislation that set the foundation for stronger schools, increased learning opportunities, and a brighter future for Cleveland's children. As the former President of the Ohio Legislative Black Caucus (OLBC), Senator Williams focused on initiatives such as promoting quality education in the African American community, voting rights, decreasing inequalities in health care, increasing opportunities for minority business enterprises, and improving racial disparities in the criminal justice system. As part of OLBC’s commitment to higher education, she created the OLBC scholarship fund, which provides scholarships to Ohio students. Senator Sandra Williams has an outstanding record of community service and is a true statesman. She is a member of the Ohio Democratic Women's Caucus, NAACP, Black Women's Political Action Committee, and the Improved Benevolent and Protective Order of Elks of the World.